I love numbers as much as I love words, and I wanted to make a challenge that's a little different and a little tricky. 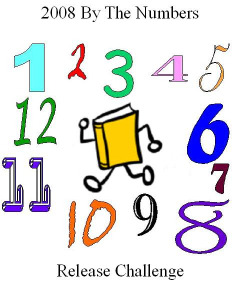 In this challenge, you must release book(s) with a certain number in the title during the month corresponding to that number. To make it a little more challenging, to officially "win" this whole challenge, you must release exactly that number of books in that month (no more, no less). So during January, you would release only ONE book with the number ONE in the title. In February, release TWO books with the number TWO.... 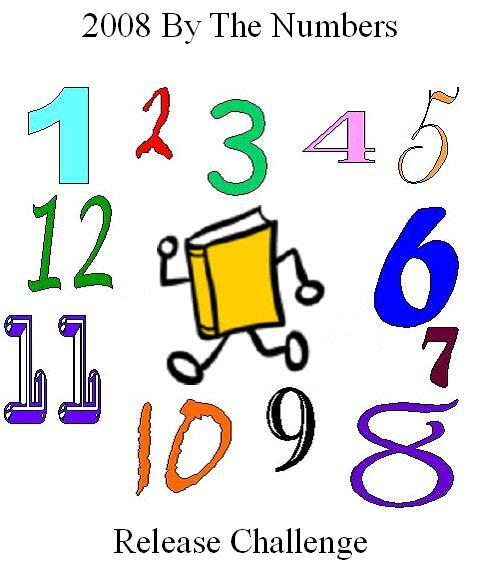 In December, release TWELVE books during the month with the number TWELVE in the title. Please make only ONE post per month with the month's name in the Subject line. List all the releases for that month listed within. You can edit that post throughout the month or just keep track on your own and post at the end of the month. Release only the specified number of books during a month. If you release more than one book in January with one in the title, it won't count for this challenge, for example. You should have a total of 78 book releases for the year to win! Post your catches as you get them; they don't count for points but it's great to share the news of catches. Books in any language are welcome so long as all of the above rules are followed; as I don't speak all the world languages, you're on the honor system. Everyone who completes the challenge in its entirety will receive a prize and a great sense of accomplishment. Everyone who completes a month will be entered for a monthly drawing for an available book on my shelf. Everyone who attempts it will earn my respect for trying and hopefully have fun anyway. I love numbers as much as I love words, and I wanted to make a challenge that's a little different and a little tricky. Use of logos in journal entries is completely optional. Here are a selection for your use. If you want to make your own, let me know; I'd love to put it here, too! Challenge Logo- made by crrcookie!